The International Boarding & Pet Services Association is holding this year’s convention in Jacksonville, Florida. If you can get there early, there will be pre-conference workshops on October 1 and October 2. For information on speaker line-up, sessions and more, go to petcareconference.com. Get over to Cane Rosso restaurant in Fairview, Texas for a fun night of pizza, patio and pet adoptions. For $10, you get an adult beverage and a discount on dog-inspired pies. Ticket sales will be matched by Cane Rosso and 100 percent will be donated to Elm Animal Rescue. Event goes from 6 to 9 p.m.
Join Seattle Humane for its annual evening dog walk at Green Lake Park in Seattle, Washington. This year’s event benefits its Disaster and Life-Saver Rescue funds. Get in on the fun for a good cause and check out the food trucks, music, adoptable pets and glow-in-the-dark surprises. Get over to Cane Rosso restaurant in Carrollton, Texas for a fun night of pizza, patio and pet adoptions. For $10, you get an adult beverage and a discount on dog-inspired pies. Ticket sales will be matched by Cane Rosso and 100 percent will be donated to the Denton Animal Shelter. Event goes from 6 to 9 p.m. The Dog Lover Unit: Lessons in Courage from the World’s K9 Cops by Rachel Rose. We all know they are out there — those brave cops in fur who protect and serve around the world. 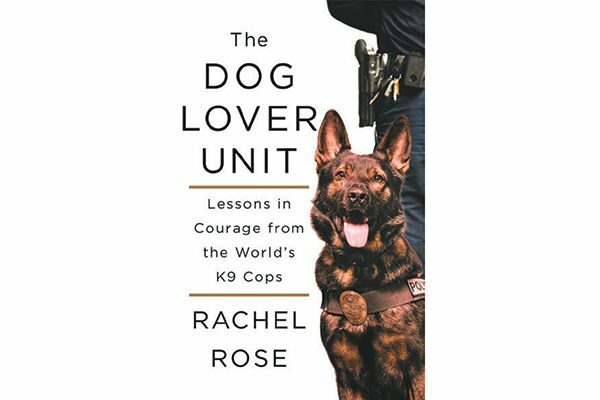 Now you can read all about them in The Dog Lover Unit: Lessons in Courage from the World’s K9 Cops, written by acclaimed poet-turned-author Rachel Rose and out today from St. Martin’s Press. 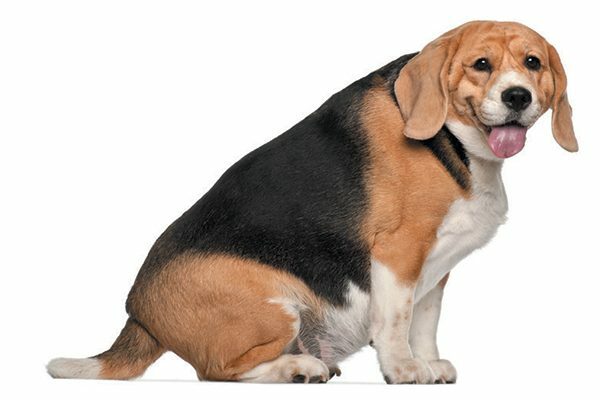 An overweight beagle dog. Photography ©GlobalP | Thinkstock. Help Dogster’s own Dr. Ernie Ward in the fight against pet obesity by taking some time to talk about your dog. On National Pet Obesity Awareness Day, the Association for Pet Obesity Prevention will conduct its 10th Annual National Pet Obesity Awareness Day Survey. Interested? Check out pet obesityprevention.org. 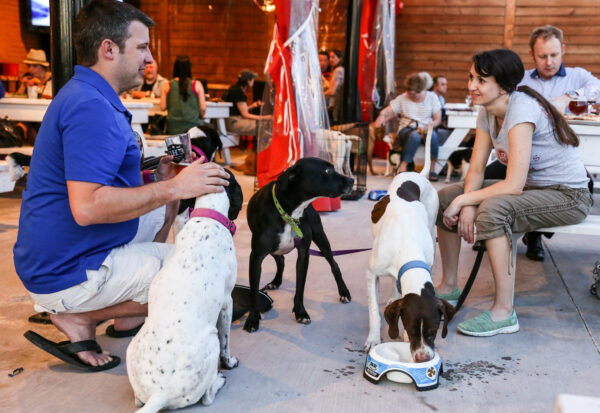 Get over to Cane Rosso restaurant in Fort Worth, Texas for a fun night of pizza, patio and pet adoptions. For $10, you get an adult beverage and a discount on dog-inspired pies. Ticket sales will be matched by Cane Rosso and 100 percent will be donated to Canine Companions for Independence. Event goes from 6 to 9 p.m.
Wilson Farm Park in Wayne, Pennsylvania is the place to be from 9 a.m. to 12 p.m. The 4th Annual National Dog Show Charity Walk benefits seven different Delaware Valley charities, plus has lots of things to see and do for adults, children and furry family members. Attractions include exhibitors, canine demonstrations, games and prizes for pets and pet parents. 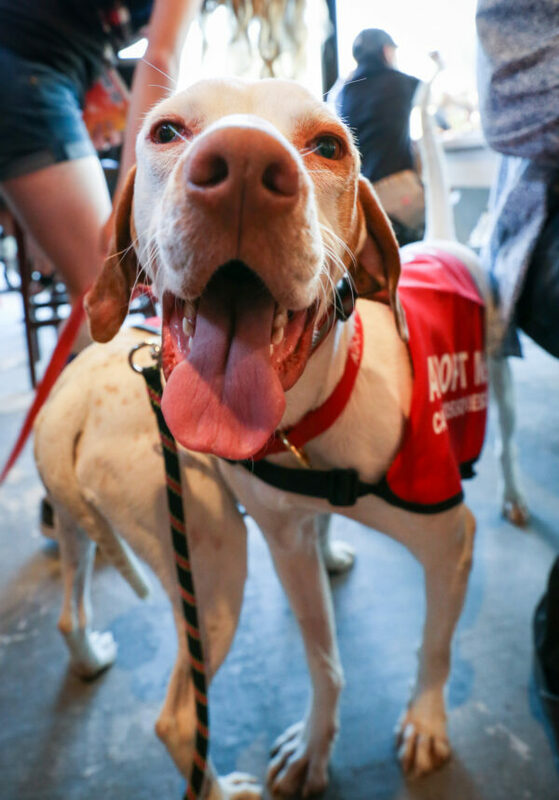 Get over to White Rock Cane Rosso restaurant in Dallas, Texas for a fun night of pizza, patio and pet adoptions. For $10, you get an adult beverage and a discount on dog-inspired pies. Ticket sales will be matched by Cane Rosso and 100 percent will be donated to the Texas Humane Legislation Network. Event goes from 6 to 9 p.m. Calling all professional dog trainers to the Association of Pet Dog Trainers’ 2017 Conference in Richmond, Virginia! There, you’ll find plenty of speakers, classes, peer-to-peer sharing and networking opportunities. For more information, go to apdt.com. 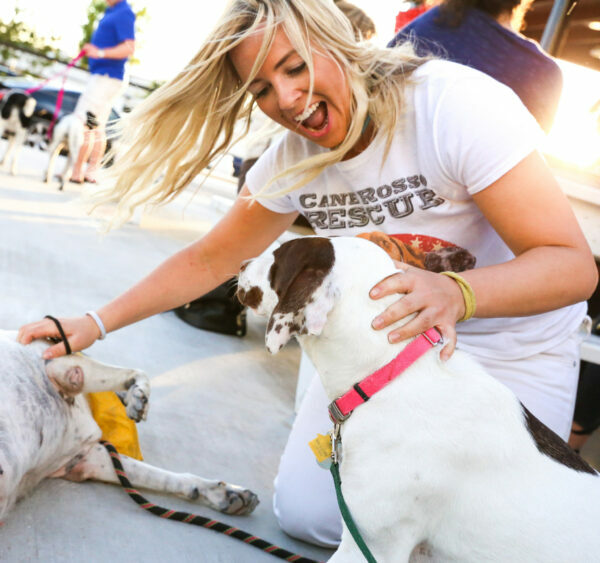 Get over to Cane Rosso restaurant in Fort Worth, Texas for a fun night of pizza, patio and pet adoptions. For $10, you get an adult beverage and a discount on dog-inspired pies. Ticket sales will be matched by Cane Rosso and 100 percent will be donated to PAWS for Irving Animals. Event goes from 6 to 9 p.m. 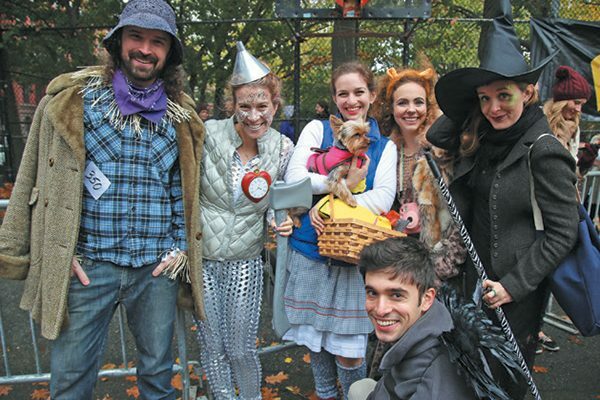 The 27th Annual Tompkins Square Halloween Dog Parade. Photography by Stacie Joy. Scamper down to the 27th Annual Tompkins Square Halloween Dog Parade in the Alphabet City neighborhood of New York, New York. Be a spectator, or show up with your dog in costume and compete for prizes. Event runs from 12 to 3 p.m. Runway competition starts at noon with parade following after. All you need to know is at tompkinssquaredogrun.com. If you’re a veterinarian, you don’t want to miss the American Holistic Veterinary Medical Association’s 2017 Annual Conference in San Diego, California. Check out the schedule, which is filled with classes and speakers at ahvma.org/conference-schedule. Get over to Cane Rosso restaurant in Fairview, Texas for a fun night of pizza, patio and pet adoptions. For $10, you get an adult beverage and a discount on dog-inspired pies. Ticket sales will be matched by Cane Rosso and 100 percent will be donated to the DFW Pug Rescue Club. Event goes from 6 to 9 p.m.
Get over to Cane Rosso restaurant in Carrollton, Texas for a fun night of pizza, patio and pet adoptions. For $10, you get an adult beverage and a discount on dog-inspired pies. Ticket sales will be matched by Cane Rosso and 100 percent will be donated to Operation Kindness. Event goes from 6 to 9 p.m.
Get over to Cane Rosso restaurant in Fairview, Texas for a fun night of pizza, patio and pet adoptions. For $10, you get an adult beverage and a discount on dog-inspired pies. Ticket sales will be matched by Cane Rosso and 100 percent will be donated to the Texas GSP Rescue. Event goes from 6 to 9 p.m.
Get over to Cane Rosso restaurant in Carrollton, Texas for a fun night of pizza, patio and pet adoptions. For $10, you get an adult beverage and a discount on dog-inspired pies. Ticket sales will be matched by Cane Rosso and 100 percent will be donated to the Cane Rosso Rescue. Event goes from 6 to 9 p.m.
It’s a fun day for dogs and their humans in North Carolina’s Durham Central Park. Come meet other dog lovers and their pups from 12 to 4 p.m. Event put on by Beyond Fences. Stay tuned for more from Executive Editor Melissa L. Kauffman on Dogster.com’s Dug Up at Dogster column and on social media with #DogUpatDogster. The post Dug Up at Dogster: Don’t Miss These October 2017 Dog Events appeared first on Dogster.